Home / What Makes for the Best Happy Hour in Rockland County? 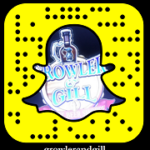 What makes Growler & Gill’s Happy Hour the best in Rockland County NY? 24 rotating taps of draft craft beer including IPAs, Belgians, wheat beers, stouts, porters and more? 500 bottles of beer from around the globe? Premium wine and Prosecco by the glass? Our comfy tasting room and outdoor beer garden? $2.00 off beer and wine every Happy Hour? If you answered All of the above, you’re absolutely right! 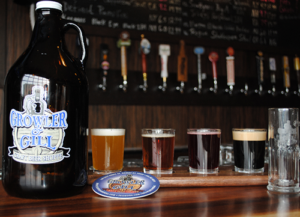 Happy Hour at Growler & Gill is every Monday, Tuesday and Friday from 3 to 6 p.m. Craft Beer Lovers of Rockland Unite! The most important thing about Growler & Gill that makes our Happy Hour the best from Nanuet to Nyack and throughout Rockland is the amazing group of people who join us every night. From serious beer geeks to plain-old beer lovers; from wine aficionados to those curious about the craft beer scene – and then there are those who just want to have a good time. It’s Growler & Gill customers who make our Happy Hour the most happening for miles around. Of course let’s not forget our Growler & Gill staff – knowledgeable men and women who will answer any questions you might have and guide you through a personal tasting to help you make your selection. And if you’re hungry, Growler & Gill’s food menu is designed with beer pairing in mind featuring Polish, German and American favorites. So come in for fun and relaxation after a long day’s work. Happy Hours are every Monday, Tuesday and Friday 3 to 6 p.m. and we’re offering $2 off beer and wine! Growler & Gill is conveniently located on Route 59 in Nanuet, NY right off I -287 (NYS Thruway) and the Palisades Parkway. And of course there’s our Annual Lower Hudson Valley Craft Beer Festival the first Saturday in June. Join us today and experience for yourself why Growler & Gill is the premier destination for craft beer lovers in the tri-state area.